We are observing the below error in SQL error log file. 2014-08-10 06:20:04.80 Logon Login failed for user ''. The user is not associated with a trusted SQL Server connection. [CLIENT: X.X.X.X] 2014-08-10 06:20:05.79 Logon Error: 18452, Severity: 14, State: 1. four application servers are doing the transaction with this DB server using same SQL login. We are getting successfull transactions as well in all application servers. Please help to understand why this error is coming for some of the tansactions only. The error "The SQL Network Interface library could not register the Service Principal Name (SPN) for the SQL Server service. Error: 0x54b, state: 3. Failure to register an SPN may cause integrated authentication to fall back to NTLM instead of Kerberos. This is an informational message. Further action is only required if Kerberos authentication is required by authentication policies." 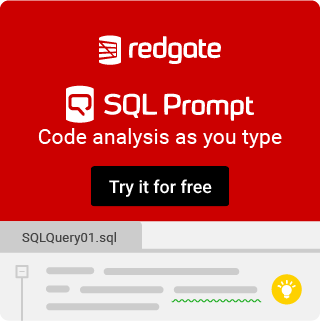 is also showing in SQL error log prior to Login failer for user ''- error-18452. Is there any relation between these two errors. If so what needs to do to resolve the kerberos problem.Please help.. This site runs off of votes. Please indicate all helpful answers below by clicking on the thumbs up next to them. If any one answer lead to a solution, indicate this by clicking on the check mark next to that answer. We are not getting any other errors in the log apart from 18452. The error is not showing the username with in the single quotes. (Login failed for user ''). Is this means the application is trying to authenticate with out passing any user name to SQL? If so ,why its not passing the username to authenticate for few transactions only,as the SQL username is already configured in application and successful transactions also happening. Have you confirmed that the transactions that are working are coming from the same user? This error usually means one of the three things discussed in the article provided. The most common being that SQL Server is not configured for SQL Auth and your application is trying to pass a SQL User to authenticate instead of a Windows account. Hello we need more information to help you - Has anything in the environment changed? - Do the failed connections have anything in common? e.g. Are they all from teh same service or application? Do they all come from one server? - What type of application is trying to access the database? - What authentication mode is the Database server in? - Is it a single server or a cluster? This is not a new error we are observing in the logs like after application changes. Not done any changes recently. We are getting this error from different applications and from different application servers. We have four application servers communicating with this db server.all four application servers IP address is showing in the error log. IVR (VXML) application which is running in tomcat6.0 is trying to access the DB server. DB server is having mixed mode authentication(SQL and Windows) Its a single DB server . Not in cluster.